These days you are probably hearing a lot about mutual funds as a means for fruitful investment. You are also likely to be among the majority who probably has most of his/her money in a savings bank account and the biggest investment as your home. Also, investments are probably something about which you neither have knowledge nor time. The mutual fund industry in India is constantly evolving. Along with it, many industry bodies are investing towards investor education. 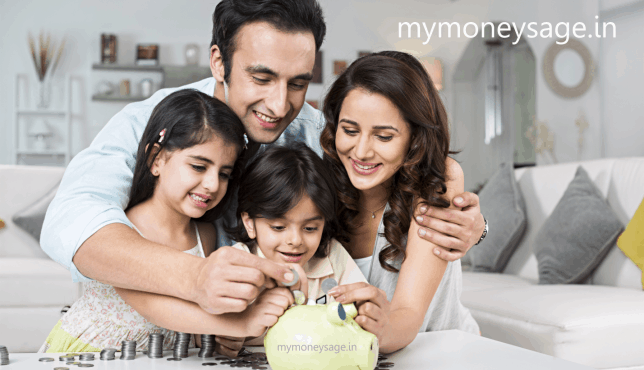 Yet, according to industry reports, less than 10% of Indian households consider mutual funds as an investment option. Mutual funds are largely viewed as high-risk financial instruments. But a basic inquiry on various types of mutual funds will reveal that they are perhaps one of the most comprehensive, flexible and hassle-free investments that can meet varied investor demands. Before moving on to a more detailed study on mutual funds, let?s learn the very basics. A mutual fund is not an alternative to bonds and stocks. Rather, it pools money from several investors and invests in bonds, stocks, money market and other types of securities. Simply put, investing on a mutual fund is like buying a small size from a big pizza. The buyer of a fund unit gets a proportional share of the fund?s profits, losses, expenses and income. The key features of a mutual fund are as follows. Professional management: All mutual funds are selected and monitored by qualified professionals who use the money for building a portfolio. They are known as fund managers. The portfolio?as already said?is usually spread over a variety of financial instruments. Fund ownership: As an investor, you own shares of the fund, but not the individual securities. A mutual fund allows you to invest small sums, as much or as little as you want. You benefit from your involvement in a large cash pool invested by other people like you. All shareholders share the fund?s profits or losses equally, according to the proportion of the money they have invested. Diversification: Mutual fund investors can diversify their portfolio across several types of securities that minimise their risk. When you spread your money across various securities, you don?t need to worry about price fluctuation of individual securities in the fund portfolio. 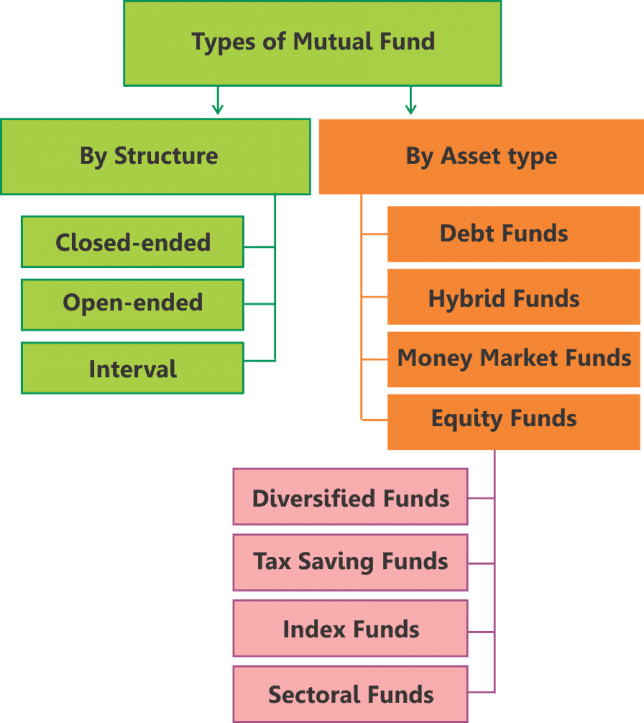 There are several types of mutual funds. Each one of them has their own sets of goals. The fund manager, while deciding on which bonds and stocks to invest, sets out the investment goals. For instance, a growth stock fund may invest mostly in equity markets with an objective to provide long-term capital gains to meet financial needs over a period of time like your children?s education or retirement benefits. Depending on the investment objectives, mutual funds can be broadly classified as under. This scheme enables investor to buy and sell securities whenever they like. They have no fixed date of maturity. Debt/income: The lion?s share of the investable corpus in a debt/income scheme is channelized into government securities, debentures, and other debt instruments. Though capital appreciation is lower compared to equity funds, debt/income schemes are comparatively low-risk investments. They are ideal for those seeking steady income. Liquid/money market: These funds are best for those wanting to utilise their surplus funds in short-term schemes while waiting for better alternatives. These schemes put money in short-term debt instruments and offer reasonable returns. Growth/equity: Equities are one of the most popular fund categories among retail investors. Equities are high risk investments in the short-term. But investors can expect long-term capital appreciation. If you are at your prime earning stage and looking to book long-term profits, growth schemes would be one of the best investments. Index schemes: These are widely popular investments in the West and some fund houses have begun to offer them in our country as well. An index scheme follows a passive strategy where the investments follow movement of benchmark indices like Sensex, Nifty and others. Sectoral schemes: Sectoral mutual funds are invested in specific sectors like IT, infrastructure, pharmaceuticals, and others or in segments like small cap, large cap etc. Such schemes usually provide a high return-high risk opportunity in equities. Tax saving: Such schemes, as the name suggests, extend tax benefits to the investor. The funds are invested in equities and offer a long-term growth opportunity. More popularly known as equity linked savings schemes (ELSS), tax saving mutual funds usually has a three-year lock-in period. Balanced: These schemes allow investors to reap both income and growth at regular intervals. The funds are invested in fixed income securities as well as equities. The proportion of investment is pre-determined and disclosed in the scheme offer document. These instruments are best for the cautiously aggressive investor. Close-ended mutual funds have a fixed maturity period. Investors can put in their money only during the launch of the fund i.e. in the new fund offer (NFO) period. Capital protection: The key objective of such a scheme is to protect the principal amount and at the same time, deliver reasonable returns. These funds invest in fixed income and high quality securities with a marginal investment in equities. They mature along with the scheme?s maturity period. Fixed maturity plans (FMPs): As the name suggests, FMPs are mutual funds having a fixed maturity period. FMPs are usually made up of debt instruments that mature at the time of maturity of the scheme. They earn through the interest component?also known as coupons?of securities on the portfolio. FMPs are normally managed passively i.e. there are no active trading of debt instruments in portfolio. Expenses charged on the scheme, hence, are usually lesser than the actively managed schemes. Operating as a combination of close and open ended schemes, these allow investors to trade in units at pre-defined intervals. The asset management company (AMC) which manages a mutual fund, calculates the NAV at the end of each business day. NAV is the total asset value, minus the expenses, per unit of fund. To calculate the NAV, take the current market value of the mutual fund?s assets, minus liabilities if any, and divide that by the number of outstanding shares. The formula to calculate NAV is given below. For instance, if the market value of the securities in a mutual fund is Rs.500 lakh, and the fund has issued Rs.10 lakh units of Rs.10 each to its investors, then the NAV of each unit is Rs.50. Offer price: It?s the price you pay while investing in a mutual fund scheme. It?s also known as the sale price. It may include a sales load. Repurchase price: It?s the price at which the mutual fund repurchases the units. The price may include a back-end load. It?s also known as the bid price. Redemption price: It?s the price at which open-ended mutual funds repurchase the units and close-ended funds redeem units on maturity. Such prices are related to the NAV. Front-end/sales load: It?s the charge collected by the scheme at the time of selling the units. Schemes that don?t charge any entry load are called ?no load? schemes. Back-end/repurchase load: It?s the charge collected by the scheme when it repurchases/buys back the units from the unit holders. Professional management: Whenever you invest in mutual funds, your money is managed by financial experts. Investors having no time or skill for managing their portfolios, should invest in mutual funds. You gain from the expertise of professional managers which otherwise would have been expensive for an individual investor. Diversification: Mutual funds extend benefits of diversification across several business sectors and companies. They spread the investments across various asset classes and industries. Thus, you benefit from asset allocation and diversification, without investing a large sum of money required to build an individual portfolio. Liquidity: Most mutual funds are liquid investments. Except the lock-in ones, you can withdraw your money at your own will, subject to the exit load. Funds usually take 2-3 working days to release your money. They are well integrated with the banking system and the money is transferred directly into your bank account. Flexibility: Investors benefit from the flexibility and convenience offered by mutual funds from investing in an array of schemes. They offer systematic investments and withdrawals to investors in most of the open-ended schemes. You can invest or withdraw funds according to your convenience. Low transaction cost: Because of the economies of scale, mutual funds incur lower transaction costs and the benefits are passed on to the investors. An individual is unlikely to enjoy the transaction cost benefit by entering the market directly. Transparency: Funds provide investors updated information regarding markets and schemes through offer documents, factsheets, annual reports etc. Well regulated: In India, all mutual funds are monitored and regulated the Securities and Exchange Board of India (SEBI). It protects investor interests. All mutual funds have to be registered with SEBI to ensure full transparency. A fund must provide exhaustive information about its investments and the quantity of money invested in each asset class. Since mutual funds invest across various asset classes, each scheme has different risks depending on the portfolio. Value of investments may decline because of economic downturns or other events that affect the market. Also, the government may introduce new regulations that may affect a particular industry or a class of industries. These factors influence mutual fund performance. While diversification can help ease risks by offsetting the losses, at the same time, it could limit the upside potential provided by holding a single security. The advantages of investing in a mutual fund far outnumber its risks. The systematic investment plan (SIP) has emerged as a popular way of investing, where you invest a fixed amount of money in mutual funds every month. It?s a staggered method of investing, leading to wealth accumulation over a period of time. The Asset Management Company should have good standing in the market and the fund manager an impeccable reputation in Small Business In Trichy managing funds. I am following your blog since many days ..its really informative and i decided i will correct my mistake whatever i have done .Thanks for guiding us. now please give your review on my future investment which i have made after reading your blog . 1. Above my portfolio is good or need to change? 2. What are general precautions and key issues to be taken care while Investing in Mutual Fund. 3. Is this Portfolio conservative and risk averse. Main intention is to minimize losses in case of Market crash. 4. Taxes on Returns in Short-term debt fund will be as per the Tax slab for resident Indian. 5. Is the Selected Balance fund in which majority of Investment done safe and will ensure good returns. 6.	above percentage of 40 lakhs..one time investment now?. whenever get chance i will do SIP in long term plan ,is it ok ? I am looking for information about companies whose shares I can buy for a long term and are safe for investing during any time of the year. I am apprehensive about buying shares of companies such as Reliance. Some updates regarding shares of companies would be really helpful.